An individualized course of treatments is created for each individual based on the condition of the patient, diagnostics and personal preferences. These include bio-energy healing techniques, Reiki, Karuna-Kei, and informational therapy, Chinese, Korean and French acupuncture, magnetotherapy, color therapy, vibrational therapy, lymph draining tecniques, detoxification treatments, microcurrent and plasma current therapies, red and infrared light, as well as sound therapy. Healing harnesses nature’s medicinals-plants and other natural substances-with commonsense essentials such as diet, exercise, and cleansing, as well as the most profound principles of spiritual and psychological transformation. Dr. Tatyana Yakovleva believes that Reiki is an essential tool for anyone ready to bring healing into his or her life. It’s one of the fastest-growing spiritual healing practices in the world for a good reason – it works. Some patients consider her one of the foremost practitioners of Reiki in New York. She is able to trace the origin and development of the practice, detailing how and why it restores and renews the human body. Although the mainstream medical profession is usually slow to include alternative health practices without extensive statistical evidence, Reiki is an exception. A surprising number of doctors have recommended it to their patients. Reiki is offered as a complement to traditional treatments in many leading hospitals such as Memorial Sloan Kettering, DHMC, Columbia Presbyterian Medical Center, Bassett Healthcare’s Louis Busch Hager Cancer Center, and the Yale Center. In Memorial Sloan Kettering, for example, it’s considered so valuable that it’s offered regularly for in-service courses for all hospital staff so that they can integrate it into their patient care. The response from practitioners and patients alike has been extremely promising. Both groups report that this gentle healing art promotes natural healing, stimulates endorphins, lessens or eliminates pain, lowers blood pressure, reduces heart rate, regulates hormone levels, promotes deep relaxation, and increases energy. Even the prestigious American Cancer Society recognizes that Reiki speeds healing, contributes toward spiritual and physical well-being, and reduces the intensity and frequency of nausea and vomiting due to chemotherapy. Many practitioners attest that Reiki shortens hospital stays, decreases patients’ need for drugs, lessens the side effects of treatment, and improves the quality of life. Dr. Yakovleva received her initial Reiki training in 1987 and achieved Master-Teacher level in 1998. She also received Karuna Kei Master- Teacher level in 1998. She has taught Reiki to hundreds of students throughout the years in different countries. In her private practice, Dr. Yakovleva blends intuition, energy medicine, and counseling to guide and empower the client’s own healing journey. Dr. Yakovleva draws on her unique background to explain how this therapeutic technique, which involves a gentle laying on of the hands, complements conventional medical treatments and can quicken recovery from surgical procedures, as well as ease the symptoms of cancer, insomnia, depression, anxiety, and many other conditions. 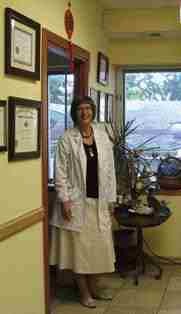 Dr. Yakovleva is setting the standard for excellence in Reiki education and instruction. She can enrich the classes that current teachers are giving and gives the new teacher confidence and pride when leading their very first class. Practitioners will discover a deep understanding of how to apply Reiki and what is actually happening during a session. You will never again be afraid or even worried about teaching a Reiki class or giving the attunement. You will be pleased and your students will be grateful for this. How to get the most for your students. A list of supplies for each level and suggestions for your classroom. Information regarding the New York state licensing system. How to avoid any issues with your patient’s physicians.Dr. Yakovleva’s hand positions and healing techniques can be studied directly by you – the student. Whether you are a beginner or an intermediate level practitioner, you can expand your knowledge dramatically. With compassion, wisdom, and the accumulated experience that comes from nearly twenty years as a Reiki practitioner, she can pass on the power to you. Whether you’re a newcomer to the field of energy medicine, an experienced practitioner or an animal lover committed to knowing all you can about your pet’s health, Dr. Yakovleva will open your eyes to a new level of healing and well-being. From dogs and cats to birds and small mammals, she can show you how to understand and appreciate the power of Reiki to heal and deepen the bond with the animals in your life. Reiki has many qualities that make it an ideal complementary therapy for animals. Most importantly, it is gentle, painless, non-invasive and stress-free for animals. Reiki heals at all levels of an animal’s being: physical, mental, emotional and spiritual. It is one of only a few therapies that brings no harm to any living thing, to produce its healing properties. Dr. Yakovleva believes animals are sentient, spiritual beings who give generously of themselves to the planet and are deserving of Reiki’s benefits.